The best new electric cars of 2019 will have features and benefits you might never have expected, yet be delighted with. They’re great in the winter, offer direct power, have the best driving mileage you can get, and best of all, the car heater heats up instantly! Dispel all the myths about EVs, because they are all the rage for car enthusiasts. All those Teslas that pass you on your commute are performing very well. It’s not an illusion. Tesla isn’t the only EV manufacturer yet Teslas are exceptional vehicles. Please bookmark this page as it will be updated with new models as they are released. Sharing is good for your social health! It wasn’t long ago that the electric automobile was just wishful thinking for commuters stuck in heavily congested traffic watching their money burn. Many of us can remember the choking commuter smog at its worst and pondered the implications for our long term health. The demand for the electric vehicle was born with that along with lower wages and the high priced gasoline that drained our bank accounts. Perhaps electric vehicles won’t lower our auto insurance rates much for 2019/2020, but the savings on fuel is something to consider (estimated 1/5th of gasoline cost). The matter is more pronounced for California drivers due to the state’s demanding emissions restrictions. With more electric fueling stations, better EVs, a much lower price of electricity, and less money leaving the country to Saudi Arabia, we’ll have more reason and cash to buy an electric car. 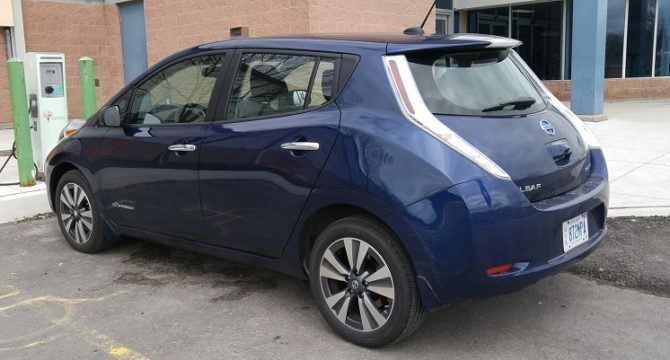 There are 14 fully electric cars for you to consider below and 14 questions you need ask before buying. Bookmark this post, as I’ll be adding new models soon. What a fun topic electric vehicles, solar shingles, and home fuel cells are. There is so much potential for launching new types of businesses serving the alternative energy market such as solar power installation companies. You’re limited only by your spirit and imagination. The new Tesla Model 3 and Toyota Prius vehicles have dispelled our myths about acceleration, speed, and distance. The Tesla’s 200+ mile distance is eliminating many of the barriers to electric car adoption. And future electric powered vehicles will offer more impressive cost savings, price, and performance for drivers from Miami, to Toronto to Los Angeles. The much awaited Tesla Model 3 has some outstanding features which you can hear in the video below. 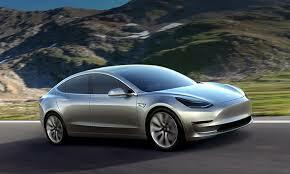 Tesla will be producing their lithium ion batteries in Nevada at their Gigafactory location. “Tesla’s mission is to accelerate the world’s transition to sustainable energy. To achieve that goal, we must produce electric vehicles in sufficient volume to force change in the automobile industry. With a planned production rate of 500,000 cars per year in the latter half of this decade, Tesla alone will require today’s entire worldwide production of lithium ion batteries. The Tesla Gigafactory was born of necessity and will supply enough batteries to support our projected vehicle demand.” from the Tesla website. No one has pursued the dream of the electric vehicle with more passion than Elon Musk. Now here’s a US start up entrepreneur that’s caught everyone’s imagination and his comments and business goals carry a lot of respect from drivers, scientists, investors and eco-conscious legislators. Musk is making us believe in the electric power dream so many have had for decades. Musk’s company just purchased Solar City, a solar shingle manufacturer headquartered in San Mateo CA, thus positioning Musk’s company firmly in 3 fast growing manufacturing sectors: electric automobiles, power storage, and solar power generation. Much of the success of Musk’s growing empire may hinge on the development of batteries with massive storage capacity. Batteries have come a long way of recent and there’s no doubt the pace of research and development will continue. Money always launches creativity! Check out Housing Market trends including separate outlooks for the San Diego housing market, Los Angeles housing market, San Francisco housing and apartment market, Toronto housing market, Miami market, and New York housing market. Check out insurance quotes for your new electric vehicle and find the best car insurance rates. Auto Insurance: Get the best quotes on Los Angeles car insurance, Toronto car insurance, and San Francisco auto insurance. Don’t just renew your auto insurance with your current insurance company when you can search and find a better rate online. Check out my popular blog on how to save on auto insurance. Can you power up the EV at your workplace? how long does it take to power up the car batteries? does it have enough acceleration to get safely up to highway speed on a highway onramp? how much does the power actually cost per month compared to gasoline? how much more does the electric vehicle cost? how far can you drive till you need to recharge? should you buy a hybrid vehicle to extend the distance? will electric cars perform well in very cold climates in winter? how long will the batteries survive before needing to be replaced and what is the warrantee period? should I wait until Tesla has all the charging stations in place in my city? how long do electric car motors lasts? what rebates and incentives are available in my city or state? what will need to maintained and repaired on the vehicle through the years ahead? where will the charging stations be in all states? That’s 10 key questions to ask before you buy your electric vehicle. Check out the top rated EV’s and how many miles they get on a charge. Tesla model EVs are well ahead in performance. Find the lowest insurance rates for an electric powered vehicle (EV) in your city: Los Angeles car insurance, Boston auto insurance, Phoenix car insurance, San Francisco car insurance, San Diego car insurance, Seattle car insurance, New York car insurance, Indianapolis car insurance, Detroit car insurance, Philadelphia auto insurance, Toronto automobile insurance, or Chicago car insurance. The US federal government offers a generous $7500 rebate for electric car buyers. You can read more about incentives in your state here. Although these vehicles are priced a little higher, these incentives can really help make a difference. Who won the battle of the electric cars? The Chevy Bolt EV. The Chevy Bolt EV’s provides the acceleration and driving experience that Car and Driver believes consumers want most. They found it’s battery powers a 200-hp electric motor for 96 MPGe and a 75-mph highway range of 190 miles. Wow, that is impressive and it makes anyone thinking about cross country drives thinking they can do it in an EV. It rides well over rough roads and acceleration an acceleration of 60 mph in 6.5 seconds is noteworthy. Top speed is 93 mph. The price is about $37,000 for a 4 door model. In the US is there is a $7500 tax credit available. How does that compare to the expensive Tesla Model 3? My company just invested into two Chevy Volts for our property managers to drive around in. Take a look https://www.rentaldirection.com/going-green-in-2018. We chose these because they have the option of gas as well. Would hate for my staff to be stuck at a property when the electric energy runs out! Very practical solution Olivia, and I hope you can share the results later in the year.